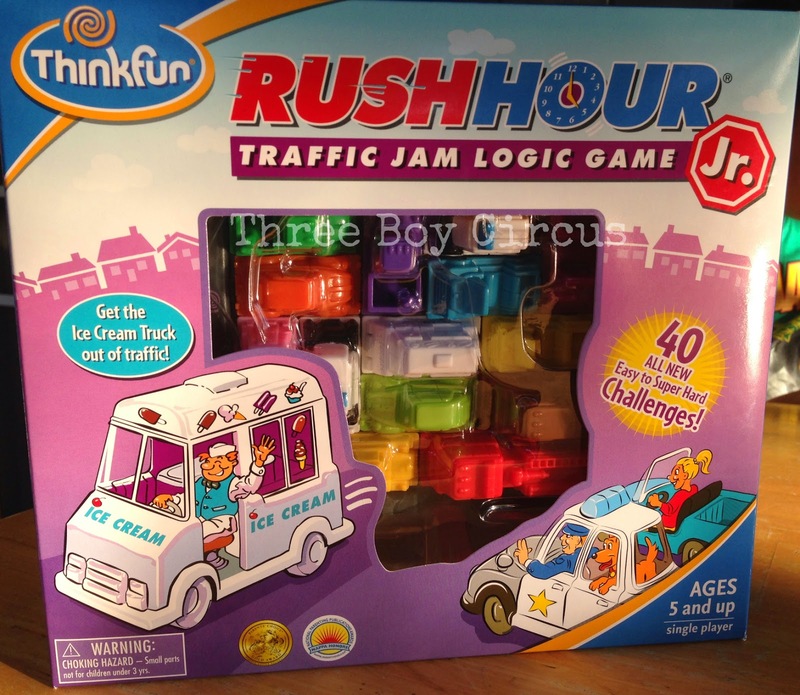 Three Boy Circus: Rush Hour Jr by ThinkFun! Rush Hour Jr by ThinkFun! Traffic Jam Puzzle for Younger Players Younger players can experience the fun and challenge of our award-winning Rush Hour game in this exciting junior version! Set up your game grid according to the challenge card and steer your ice cream truck through a jumble of blocking cars, trucks, and buses to make your way to the exit. 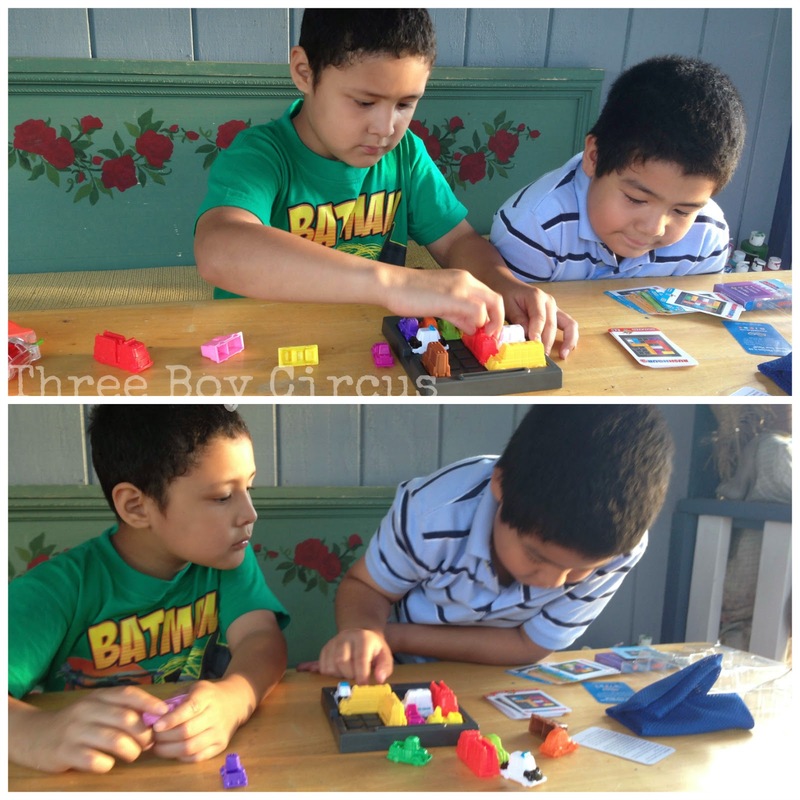 40 age-appropriate challenge cards provide hours of fun while building logic and reasoning skills in young players. My 7 year old and 9 year old loved this game! At first they tried 'Super Hard' challenges but couldn't figure them out but settled on 'Medium' challenges. I even played too! :) It sure does get your brain in gear! Only one can play at a time, but while waiting, the other can scope out the rest of the challenge cards in the deck and try visualizing a solution. I really think this game is a great learning tool and fun!